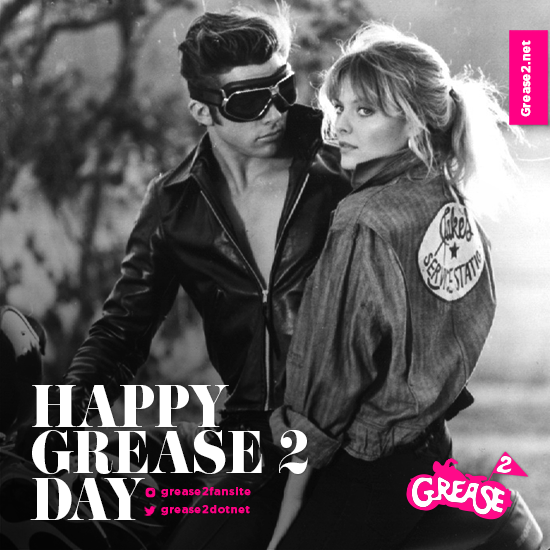 ← Grease 2 Blu-Ray Released Today! Happy Grease 2 Day 2018. It was 36 years ago today when our beloved Grease 2 hit the big screens. Opening June 11, 1982, Grease 2 rock & rolled it’s way into our hearts and bowled us over. The music and feeling go on forever! This entry was posted in News & Updates and tagged #36years, #grease2, #Grease2day, #June111982, 1982, Grease 2, Grease 2 Day, June 11. Bookmark the permalink.